Haven’t been scuba diving lately? Feeling a bit rusty? Get a tank on your back and get back in the water! No classroom or exams. 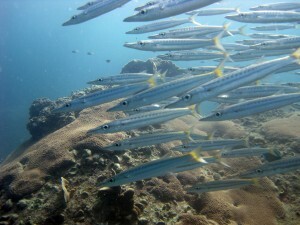 Pattaya Scuba Review dive is just the refresher you need to brush up on your knowledge and skills. It doesn’t take long to get you back in the water and feeling comfortable again. It’s quick and easy, and a good way to prepare for your next PADI course or get you ready for adventure on a diving vacation. I think the preferred method for divers is to do a scuba review out in the ocean instead of in a pool. Our Scuba Review training starts in shallow water at one of the Pattaya island bays. 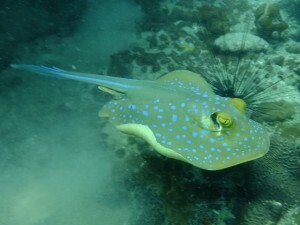 We usually run this dive trip from our 12 metre speedboat. After the shallow water training we will do 2 coral reefs, where you have a great chance of seeing tropical angelfish, rays, puffer fish and large sea turtles. Start in the shallows then dive a coral reef. We’ll go over the important dive safety concepts with you and also have you practice putting your gear together and doing a pre-dive safety check with your buddy before the dive. 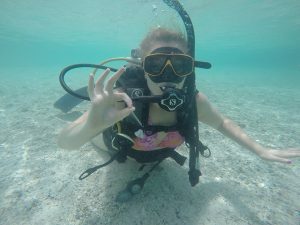 In shallow water you’ll review some basic scuba skills such as mask clearing, reg clearing but we focus mostly on good buoyancy control skills and finning, this doesn’t take long. 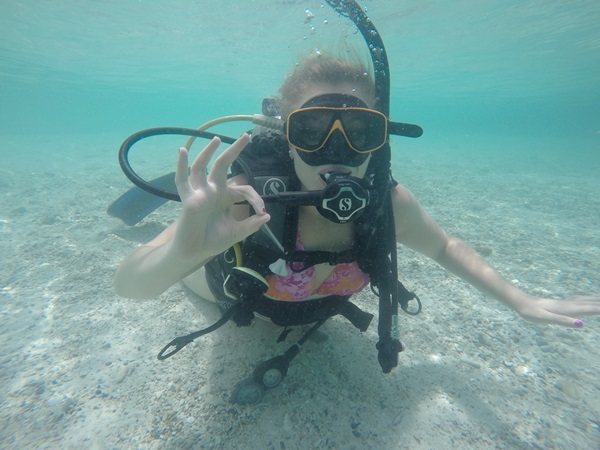 Once you are comfortable with your buoyancy we will go for a dive and explore a coral reef and see what we can find. After the dive we move the speedboat to a different coral dive site and go for another reef dive. 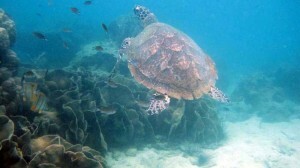 Video of Koh Rin where we frequently teach scuba reviews. Price includes: Professional Instruction, 2 dives, rental equipment, lunch/fruit/drinks on the boat, pick up and return from your hotel and a few underwater photos of you diving. 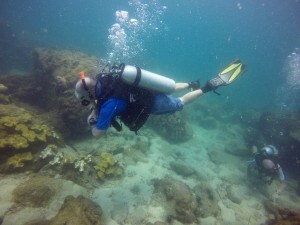 Pattaya scuba review is a great way to get you ready for the next course the “PADI Advanced course“ where you get to dive the shipwrecks in Pattaya. Please e-mail realdiverspattayathailand@gmail.com for a availability on the day you would like to go on the scuba tune up. Then please pay 1,000 Baht deposit per person to insure your spot, the balance can be paid on the morning of the trip date. Cancellation policy; 100% deposit refund if the day is red flagged by the coast guard because of sea conditions, this doesn’t happen too many times in a year, if any. IMPORTANT NOTE: If you are doing 2 dives you will need 18 hours after your last dive before flying for safety reasons and 12 hours after 1 dive. If in doubt e-mail us.